The psychological consultation/evaluation will identify significant psychosocial risk factors as well as psychological strengths prior to surgery. Recommendations will be made that are aimed at decreasing the impact of risk factors prior to surgery, and optimizing psychological strengths for optimal post operative psychological adjustment and long term success. Individualized pre and post-op treatment plans will be developed as appropriate to best meet patient needs. Jenny Sheader Wood, Ph.D., Licensed Psychologist, Health Services Psychologist is a native of Hartlepool, England. Dr. Wood immigrated to Stillwater, Oklahoma in 1987. She is a three time graduate of Oklahoma State University with a Bachelor’s degree in Psychology, a Master’s degree in Counseling, and a Doctoral degree in Counseling Psychology. 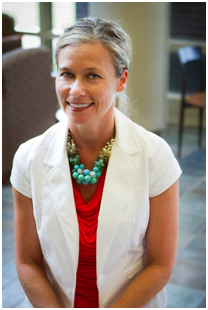 Dr. Wood completed a pre-doctoral internship at Texas Woman’s University in Denton, Texas in 2005. Dr. Wood is a Licensed Health services Psychologist in the state of Oklahoma. She has provided outpatient psychological services in a variety of settings and is trained to work with a number of issues and concerns. Special interests include: eating disorders, optimizing human potential, psychological health and wellness, and women’s issues. Dr. Wood moved to Owasso in 2006 and began private practice and collaborations with the Bariatric Team at Bailey Medical Center. Dr. Wood also serves as adjunct faculty at OSU Tulsa and enjoys being involved in patient care, teaching, mentoring and research. Dr. Riley is a health service psychologist in private practice at New Leaf Institute, PLLC, in Owasso and Tulsa. Prior to establishing New Leaf Institute, PLLC, in Tulsa, she was in private practice in Little Rock, Arkansas, where she provided bariatric pre-surgical psychological assessments, therapeutic assessments, ADHD assessments for adults, and individual and couples therapy. She received her master’s degree in Child Study from Tufts University and her master's and doctorate degrees in Clinical Psychology from the University of Denver. Her internship and postdoctoral training focused on solution-oriented cognitive behavioral therapy in college counseling centers and at Kaiser Permanente in Denver, Colorado. Her other training settings included a pediatric neurorehabilitation institute, elementary schools, and a children’s residential treatment center. Her research experience includes alcohol use in college students and children’s adjustment to divorce. She has specialized expertise in the treatment of eating disorders, depression, anxiety, adjustment disorders, and stress and anger management using empirically validated treatments, including Acceptance and Commitment Therapy (ACT), Dialectical Behavioral Therapy, Mindfulness-Based Cognitive Therapy, and Mindfulness-Based Stress Reduction. She has presented on various topics at regional conferences and provides corporate trainings on effective communication and clinician continuing education training in ACT. She provides health and wellness related lectures to pre- and post-surgical bariatric patients upon request. She has been featured as a mental health expert on several television programs for healthy living. In addition to providing bariatric pre-surgical psychological evaluations, she provides individual therapy to adults (18+) and couples therapy. Dr. Ess is a licensed psychologist and health service psychologist providing assessment, counseling and consultation services in Owasso. He holds three degrees from Oklahoma State University, a bachelor's degree in psychology; a master's degree in counseling and a doctorate degree in counseling psychology. Dr. Ess' pre-doctoral internship training at the University of Florida focused on short-term therapy with an emphasis on anxiety reduction and stress management. Following the completion of his internship training, Dr. Ess joined the staff at the University of Florida Counseling and Wellness Center as a Clinical Assistant Professor providing counseling and crisis intervention services to students, consultation with students, staff, and families, as well as providing training and supervision to doctoral and masters' students. Dr. Ess is a native of Tulsa, Oklahoma, and returned to his hometown in 2016, where he enjoys spending time with his family. While he is able to provide psychological services for a wide range of issues, he is particularly interested in working with individuals with anxiety-related issues, utilizing a combination of cognitive-behavioral, mindfulness, and interpersonal approaches to help improve patients' psychological wellbeing. Dr. Ess is also interested in the relationship of technology to individual well-being as well as using technology as a tool to improve patient well-being. He has assisted in the development of computer-based education combined with telemental health services for the treatment of anxiety.